When I first got this hack in the mail I immediately thought, hey this looks like something Strobist would do. After all he did it with a PC-Sync cord. This great mod from Mario Giambanco takes it one step further. Instead of using a PC-Sync and a home power cable, Mario used a TTL cable with a network cable. Simple? Kinda. Genius? Surly. A couple of weeks ago, I bought an Off Camera TTL Cable for my Nikon D50 – Nice cable, but for $60 at a local retailer, it wasn’t quite long enough for what I wanted to do. I wanted to relocate my Nikon SB-800 to a tripod and use it as an off camera flash. I was paranoid about cutting into the cable (it wasn’t cheap after all), but I finally decided to cut into it and I’d like to share how I did it with everyone. Being a systems administrator / network engineer, I started looking around for spare parts / connectors to use. The TTL cable had 6 wires in it, all the same gauge, stranded wires. So I cut the TTL cable in half, stripped back the rubber shielding and I used 2 Cat5e network wall jacks, 1 for each end. Cat5e cabling and jacks consist of 8 wires, so it was a perfect match for this. The other aspect of those cables is that they are shielded – after all, they transfer high amounts of traffic. Making sure to use the same wiring pattern on both jacks, I punched the TTL cable down as I would any other network cable. Put the cover on and used a little electrical tape to ensure the cable wouldn’t rip out of the jack should it receive any tension from being connected. It worked perfectly fine. I’ve tested the cable with both a 5 foot patch cable and a 50 foot network cable (both Cat5e). From what I can tell, there is no delay in the flash being triggered. 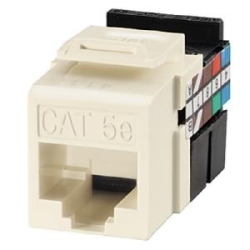 The Cat5e jacks were a good choice in my opinion because a: their relatively cheap from Home Depot or Lowes, (10 for $35 or so) b: reliable as they normally would be caring data and c: easily replaceable. The following are the steps and some tips to repeat the hack. 1. Cut the cable in half – I tried to cut the cable in the middle – that way if I screwed up, I’d have cable left over on either side to repair it. 2. With a utility knife or razor blade, strip back the rubber shielding on one of the 2 pieces of cable to expose the wires and trim off the excess rubber shielding leaving a nice transition from the rubber to the wire. You should strip back the rubber shielding about 1.5 to 2 inches to expose enough wire to work with. You do not want to strip the shielding on the actual colored wires, just the rubber shielding that keeps all the wires together. Cleanliness is the key in the following steps. 3. Working with 1 of the pieces of cable, spread out the wires, moving 3 to the left side and 3 to the right side. The order doesn’t matter so long that they match on both cables. 4. 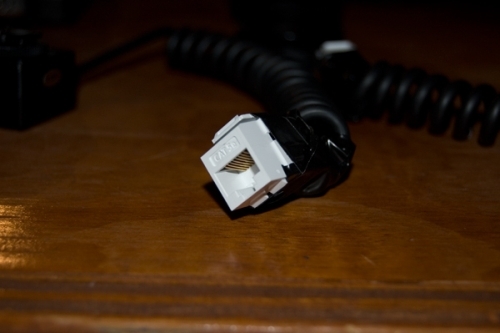 Place the cable into the Cat5e jack. Looking at the jack, there are teeth on the jack. Each of these teeth is 1 wire. There are 4 teeth on each side. Looking at the jack with the teeth side closest to you, I skipped the first row of teeth. This left me room to fit the rubber from the cable into the grove of the jack. When we put the cover on the jack, this will allow it to grip the rubber a bit and make it a bit more secure. 5. With your finger nails, press the wires into the notches of the teeth. You just need to line them up to the point where their not falling out. We’ll punch them down in a bit. Keep the wires tight and try to route the wires as neatly as possible. 7. If you happen to know a network engineer or happen to have a punch down tool, continue on and punch down the wires like any other network cable. If you do not, your Cat5e jacks should have come with a small plastic punch down tool. This tool should be gray in color, be a few inches long and have a grove in 1 end of it. Put the grooved end into the notch of the jack. Place the jack on a sturdy surface and push the wire into the grove fully. Push down strait as to not to break the jack. Not a lot of force is needed, but enough to get the wire into the jack. 8. 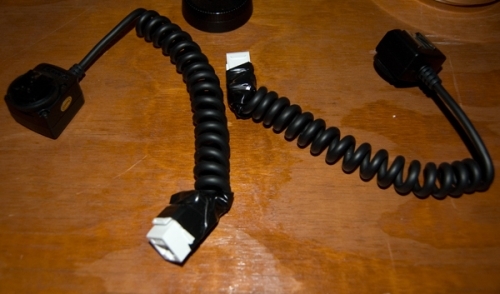 Do this to the rest of the wires for this jack. Once you’re done, you should have excess wire on the side of the jacks. Simply cut the excess wire off with scissors. If you used a punch down tool, such as a Fluke or others, the blade on the tool should have cut off this wire for you. Repeat steps 2 through 8 for the other piece of Sync Cable. 9. Once both jacks are punched down and you’re sure all the colors match up, place the black cover that came with your jack, onto the jack. This cover should just snap on and not require a lot of force. This will protect the teeth, wires and keep everything secure. Once the cover is on, as an additional precaution, I wrapped the jack and the first half inch of sync cable with electrical tape to ensure the sync cable would not rip out of the jack. As these jacks are not in a wall but could be exposed during travel or roughed up in a camera bag, I wanted to make sure the wires were secure. Here is an image taken with youthis extended TTL. Since this is a Strobist Corner post, Strobist: SB800 attached to this cable is on the left to light her face, Alien Bees 400 on the right to light her hair. 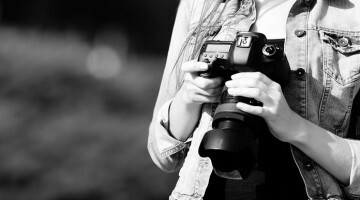 Shot with a 50mm Nikon prime lens. Model is sitting in front of a 5 in 1 reflector with the black side showing. Hi Justin, can you send any images of the “same cable goes in the same slot” advice? This is freaking me out! Thanks! Errr….not sure how you would do that…the hot shoe is a dead givaway. Read the article….the setup uses a STRAIGHT THROUGH Ethernet patch cord….IP protocol has no bearing on this…besides, Cat5/5e/6 works at layer 1….. I got the tool-less jack and it doesn’t cut the wires, so no contact is made. I retried 10 times, so tired. In am using an insignia TTL cord and the colored wires are so small that it is insane not avoid cutting them or keeping then in place. Do you have any tips on how you did it? i really dont want to expend more money on a punch down tool and maybe wont work either. it sound it so much easier than it is.